Summer’s over. It’s sad to say. We had a great summer with our boys, Max and Will. Our summer trips were full of traveling around our great state of Michigan and a lot of physical activity such as swimming, biking, running, football, and throwing the frisbee just to name a few. With no school to worry about during the summer, it’s easy to keep our physical fitness levels high. Everyday this summer has been filled with exercise. I’m sure it’s easy for most families to stay active and physically fit during the summer. I see it on FaceBook all the time. However, school schedules are back in place and I know that for our family it’s a lot more difficult to get family fitness in. Teaching my kids about physical fitness, exercise, and proper nutrition comes naturally to me. Ever since the boys were toddlers, I’ve been teaching them the importance of eating healthy foods, such as vegetables and fruits, the health benefits of exercise, and how to incorporate physical fitness into their daily lives. My kids are 9 and 5 years old now and both know the difference between “good carbs” and “bad carbs”. What a lean protein is and why protein is important. They also know that in order to stay strong and physically fit, they should do some sort of physical activity or exercise every day. With school starting back up, keeping up with daily physical activity will be a bit of a challenge for the boys. However, we, their parents, always find ways to keep them active in order to keep their physical fitness levels high. One of the best ways we find to keep our kids active during the school year is to get the kids involved in an organized team sport they enjoy. Key phrase here is “sport they enjoy”. If your child does not enjoy the sport you put him/her in, then it simply will not be fun for him or for you. When a child enjoys and has fun playing a specific sport, then he will certainly put more effort into getting better which will lead to more exercise and training. My son, Max, played on several organized flag football and basketball teams and never really enjoyed it. He was pretty good at both sports but never really liked either one. 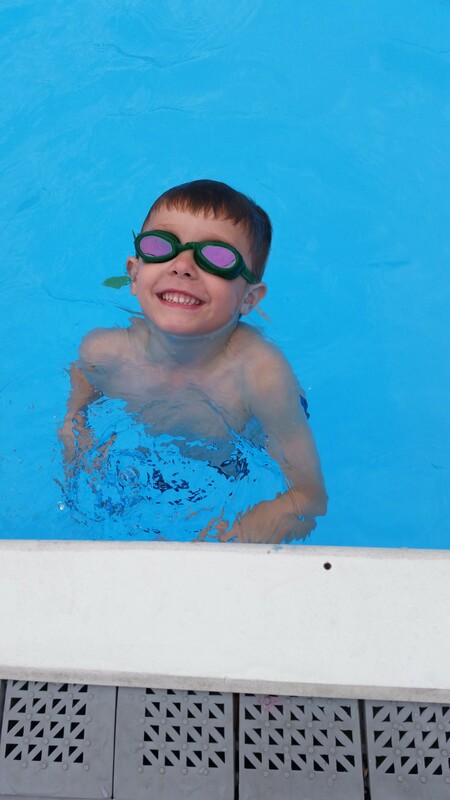 We’ve found that swimming is his sport. He loves it! 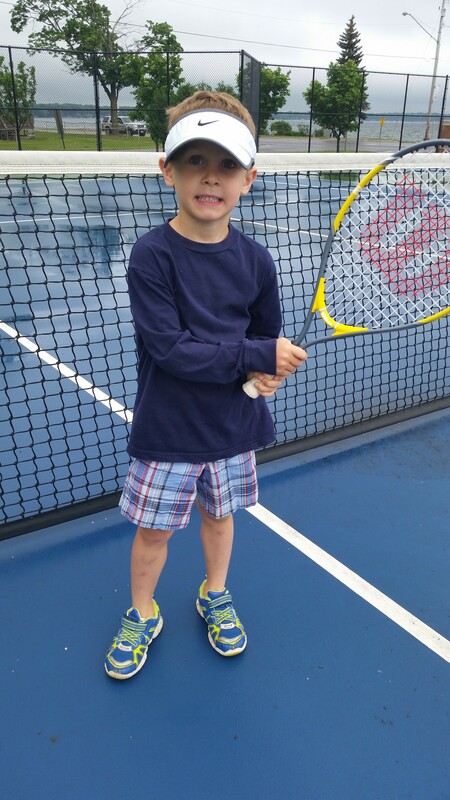 Will, my 5 year old, loves any sport right now. So he wants to be on all the sports teams he can. Set up an outdoor obstacle course that involves running around chairs, jumping over low brooms supported by chairs, bear crawling on hands and feet, and racing towards a finish line. Obstacle courses help to improve your child’s coordination, agility, cardiovascular endurance, and muscular strength and endurance. High intensity work-outs like this will help to burn a lot of calories and keep your child’s body fat low. Obstacle courses are not only fun, they are a total body work-out. Have your kids complete 50 push-ups throughout the day. Ten when they wake up, ten after breakfast, ten on the playground, ten when they get home from school, and ten before bed. Push ups are a great way to improve kids’ muscular strength and muscular endurance. 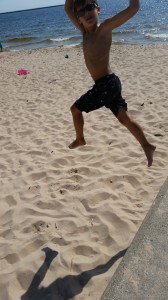 Jumping rope is a great exercise for kids and it’s fun! Jumping rope will improve your child’s reaction time, speed, and cardiovascular endurance and will certainly help to keep your child at a healthy weight. Go for a bike ride. This is my boys’ favorite exercise to do. Biking helps to improve your kids’ cardiovascular endurance, balance, and muscular strength and endurance. We love riding bikes with our kids! After homework is done, we send our kids outside. We’ve found that our boys are always running around when they go outside. Instead of sitting inside and playing video games or looking at a computer, get your kids outside! Their imaginations will take over and they’ll be running around in no time. These physical activities for kids are just a few of my favorites. Remember to keep exercise fun and educational. Physical fitness should be fun for kids and adults. If exercise is not fun, kids will tend to not engage in it and their physical fitness levels will drop. 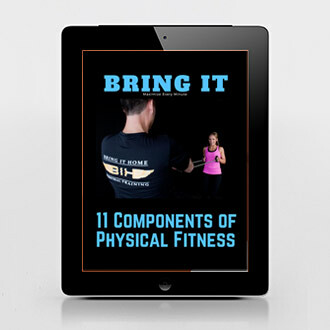 Be sure to teach your kids the importance of incorporating the 11 components of physical fitness into their daily exercise program. These components of physical fitness, along with healthy eating, are important for total body health and wellness. 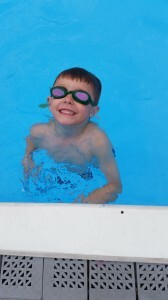 Just because summer is over, don’t neglect your child’s physical fitness. Make the time for exercise everyday, be creative with your child’s exercise program, and parents should exercise with your children. You and your kids can be healthy together!